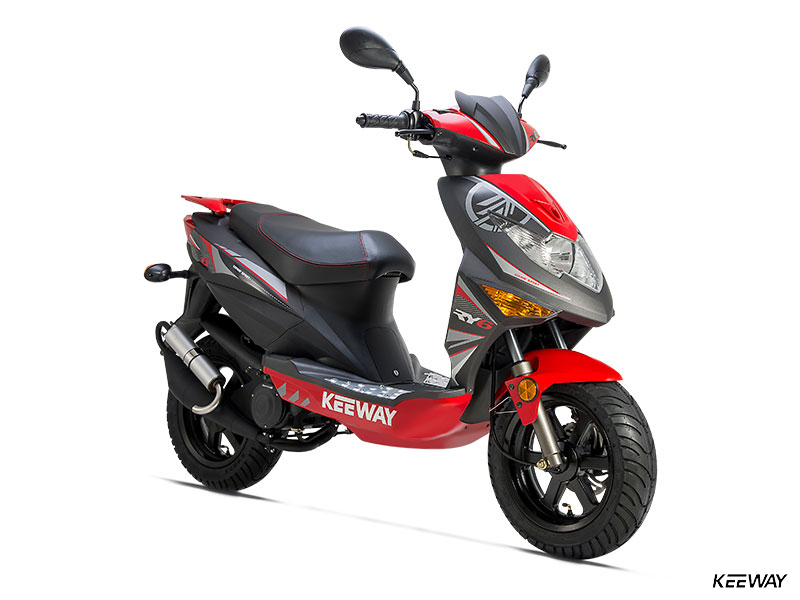 RY6 50 45km/h - Keeway Q.J. 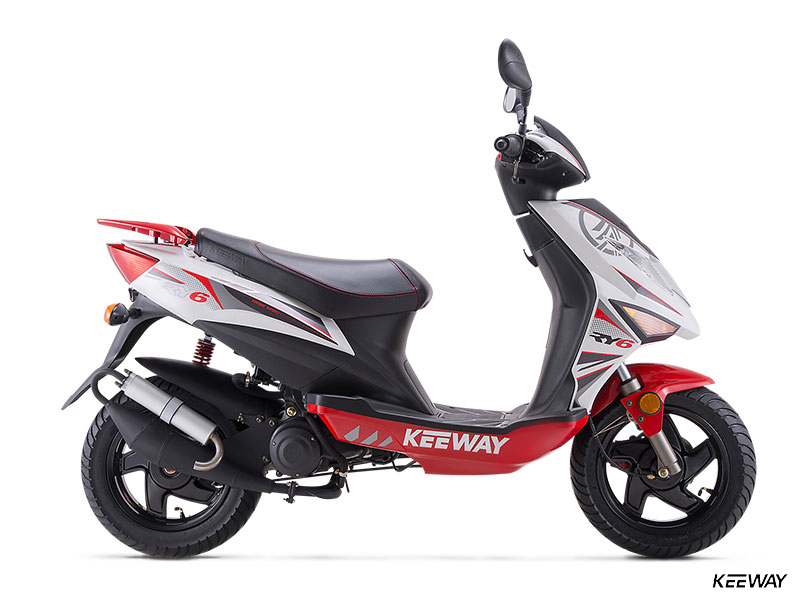 If racing is your thing, and you love the idea of a scooter that reflects the MotoGP or World Superbike aesthetic, Keeway’s RY6 is very likely the scooter for you. 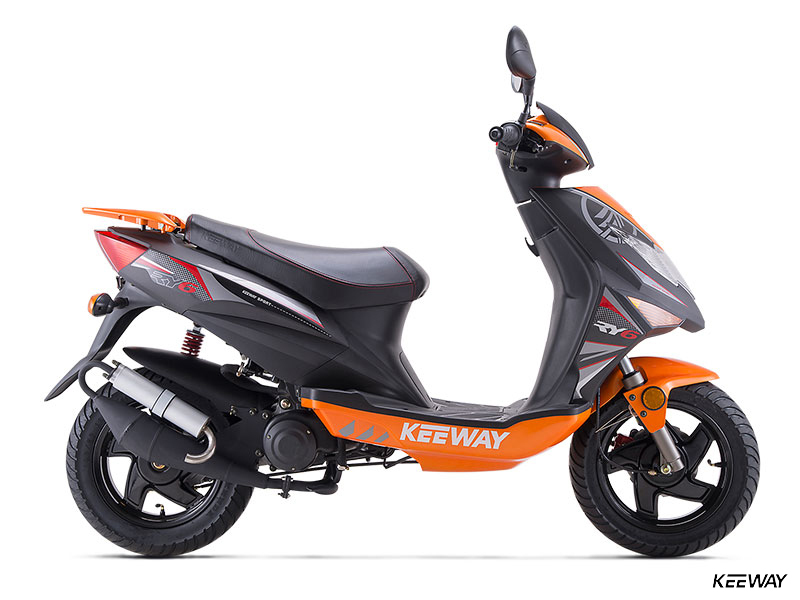 With aerodynamic bodywork covered in graphics that look like they could have come from the paddock garage at Monza during a MotoGP event, the RY6 tells everyone within eyeshot that racing and sport are your game. 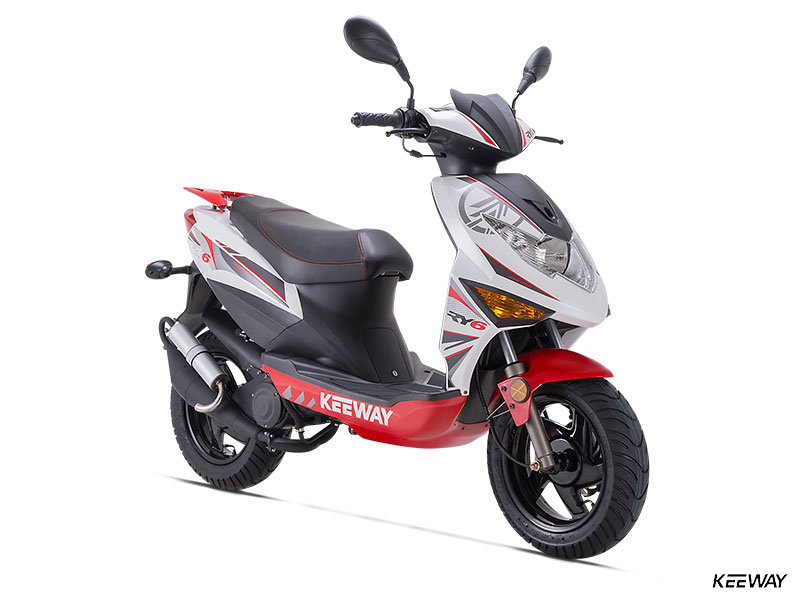 The engine and chassis back up the impression, with a 49cc two-stroke engine that recalls the sound of the 250cc and 500cc two-strokes that competed in world championship racing before MotoGP. 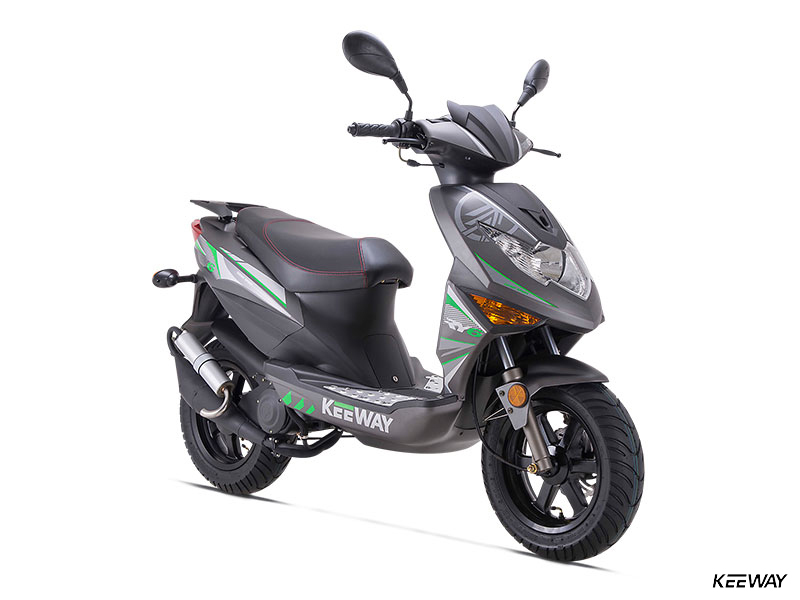 But there’s plenty of comfort, convenience and refinement here, too, including a comfy saddle, easy-to-use brakes, electric starting and wide-set mirrors. Go ahead … tell everyone you’re a racing fan. Get yourself a RY6 50. 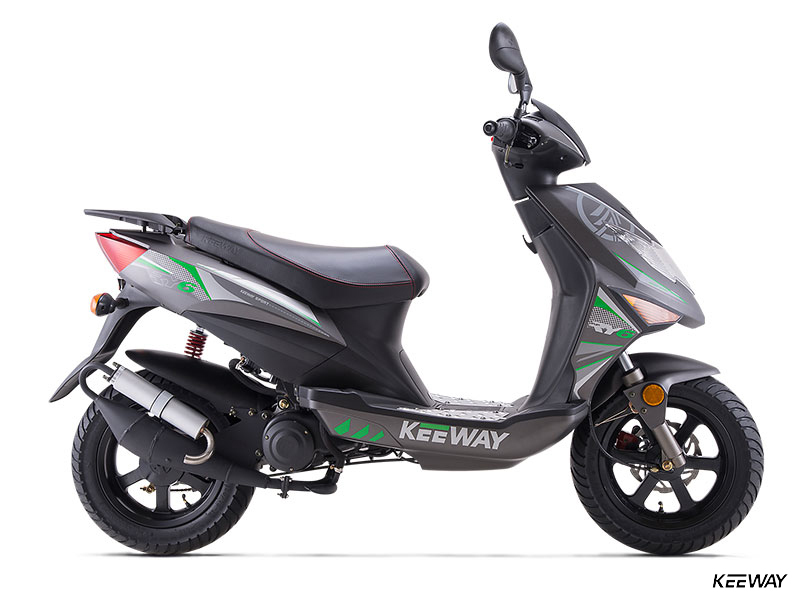 All-day riding is easy on the RY6 thanks to its comfortable, well-designed saddle. 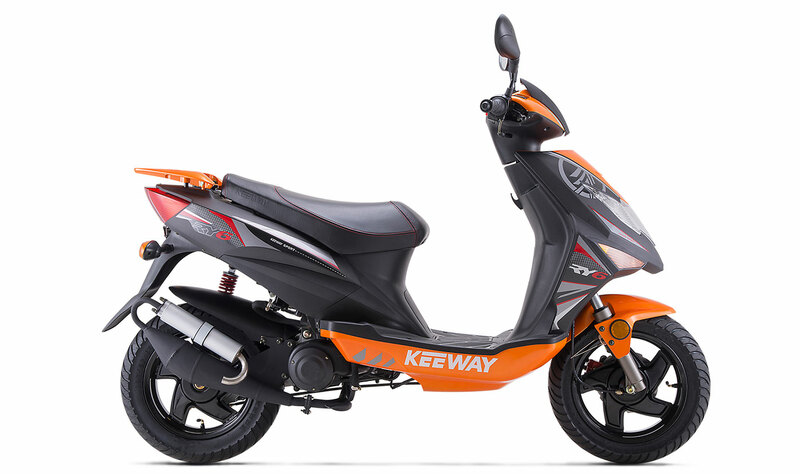 There’s also plenty of under-seat storage, and a luggage rack. 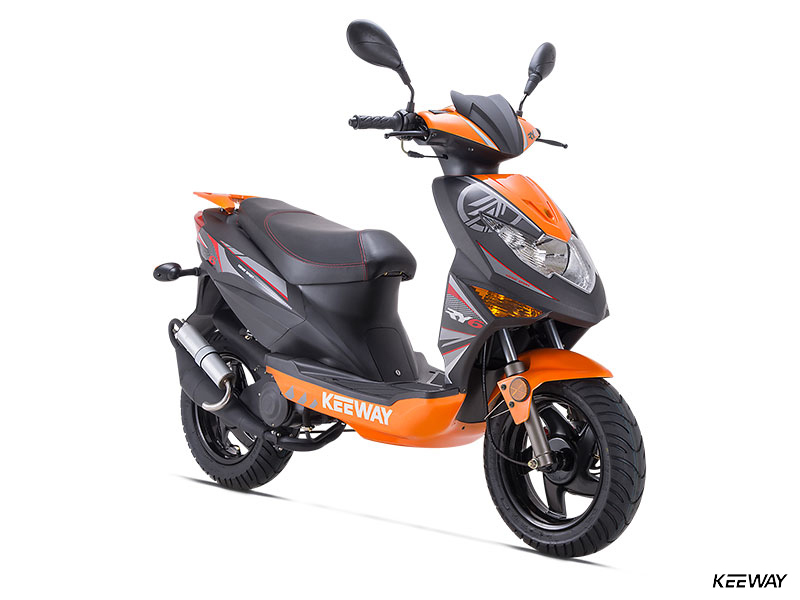 Type Mono-cylindre 2 temps de 49cc, refroidissement air forcé. 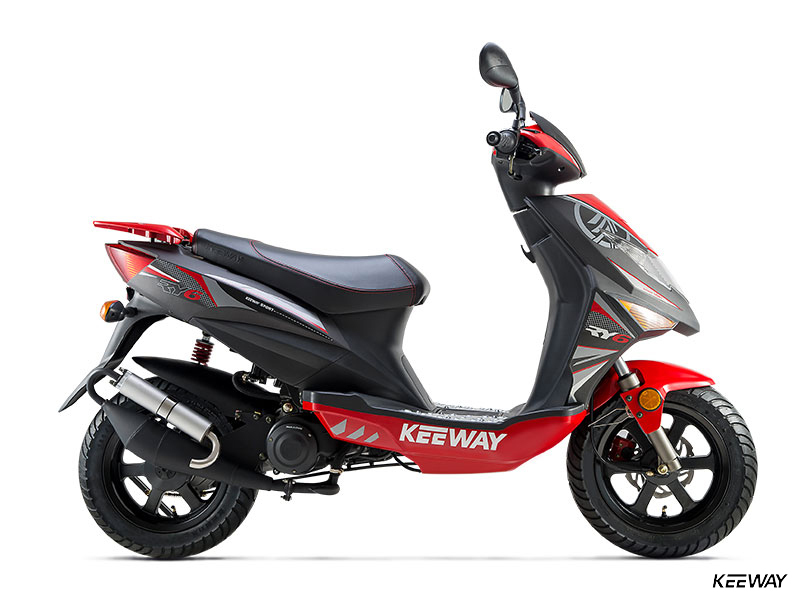 *Keeway QJ se réserve le droit de modifier les spécifications techniques, l'équipement, les réglages et les couleurs sans préavis.